Earlier this evening, I took my first dip in the pool for the year. The water was brisk to say the least. Yet, the days are getting longer and the water a little bit warmer with each passing sunrise. 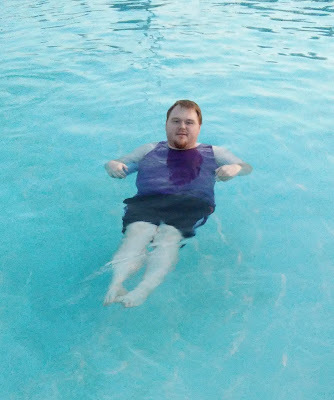 It's nice to sit back, relax and just float for a moment. Sometimes, not doing anything is the best decision you can make. With quiet repose comes perspective. That, my friends, is something we can all use a little bit more of.